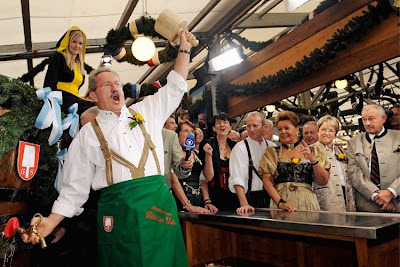 The 2008 Oktoberfest Beer Festival starts on Saturday 20th September 2008. The Munich Oktoberfest, known by Germans as `Wiesn` is the biggest Festival in the world with over 6 million people attending the Oktoberfest Beer Festival over the 15 days of activities in Munich, Bavaria. 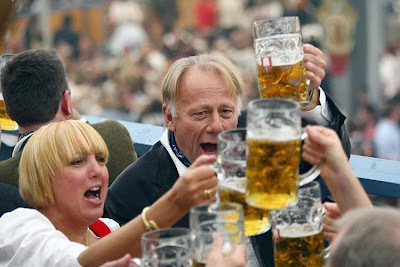 The 2008 Munich Oktoberfest, the 175th, starts on Saturday 20th September and finishes on Sunday 5th October 2008. With the myriad of food and drinks offered during this sixteen-day festival, it’s a good idea to learn German to be able to pronounce them. This entry was posted on Wednesday, September 24th, 2008 at 1:17 am	and is filed under Amazing, Art, Chicks, Interesting. You can follow any responses to this entry through the RSS 2.0 feed. You can leave a response, or trackback from your own site.